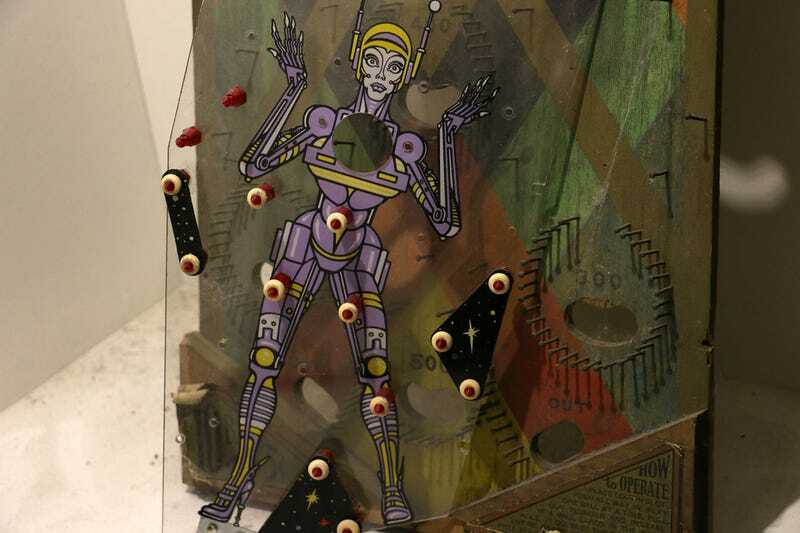 You may never have noticed, but pinball machines are actually works of art. Yesterday, we featured 50 back glass masterpieces from the collection of PBall Gallery, a pinball museum in Budapest, Hungary. Today, let’s look at all the incredible details of the machines themselves. PBall contains more than 130 of these machines ranging from across the 20th century. After we looked at the back glass yesterday, it’s time to change focus and dive deep into the playfield and the backbox, showcasing the artwork and the artifacts of the machines. The following images show all those little details which are so hard to pay attention to when you’re trying to keep the balls moving. Enjoy. This is the second piece of our mini series showcasing awesome pinball machines.